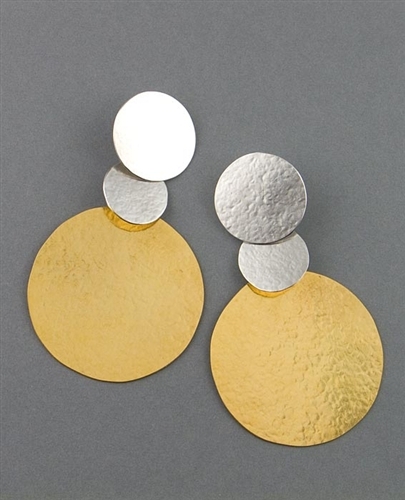 Silver and 24karat gold vermeil long drop earrings by Herve Van Der Straeten. measure 8cm (3") long in total. of glamour to any outfit. Also makes a perfect gift.